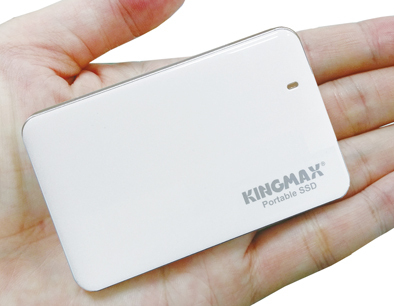 KINGMAX Technology Inc., the world’s leading provider of memory products, reveal the latest brand new portable solid state drive-KE31. To meet the growing demands for powerful portable storage devices, KINGMAX expands its product lineup with the KE31 portable SSD, which is designed to fulfill all you require for a high-performance portable SSD. Featuring a super-tiny size, fast transfer speeds and large capacities up to 960GB, the KE31 is the best companion for heavy users to easily get their works done wherever they go. 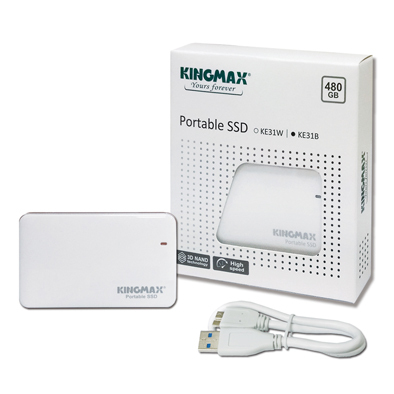 KINGMAX Portable SSD KE31 is 100% factory-tested to promise high quality and reliability. It backed by a 3-year warranty for complete after-sale services. Combined with an affordable price trend and superior transmission speed, the KE31 portable SSD becomes the fashionable external storage solution for the performance-oriented users. For more information, please visit here.